Records of parasitism in crocodilians date back to the early 1800s, distributed among various types of published and unpublished materials. 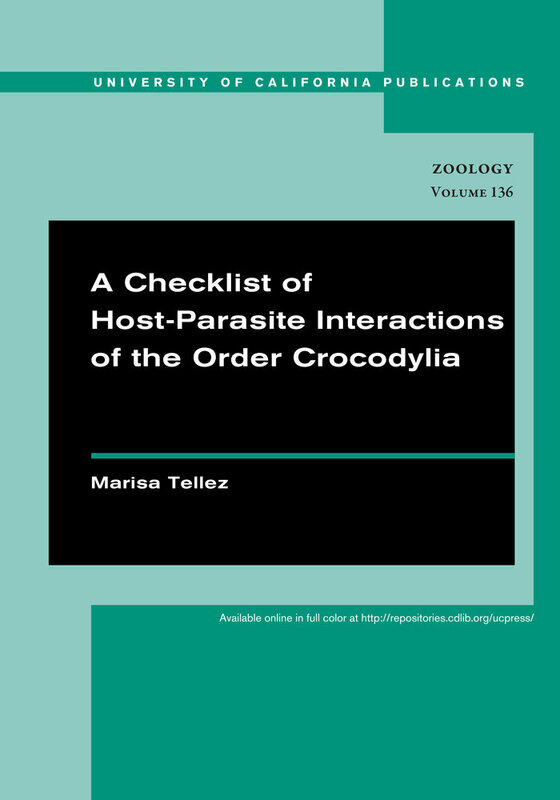 Analyzing parasite-host specificity, geographic distribution, and taxonomy can provide otherwise cryptic details about crocodilian ecology and evolution, as well as their local food web dynamics. This information is critical for improved conservation tactics for both crocodilians and their habitat. As climate change, anthropogenic conflict, and environmental pollution endanger crocodilian ecosystems, there is a need for organized information on crocodile, alligator, caiman, and gharial infectious diseases. This volume meets this need by delivering the first checklist of crocodilians and their parasites for researchers and scholars in biology, herpetology, and ecology in order to further the knowledge and study of crocodilian-parasite dynamics and improve our understanding of human impacts on ecosystems. Marisa Tellez is a PhD Candidate Student in the Ecology and Evolutionary Biology Department at UCLA.